An international volleyball tournament in the Iranian capital has thrown into sharp relief a debate in international sporting associations on how to deal with nations that restrict women’s rights as athletes and/or spectators. How the Federation Internationale de Volleyball (FIVB) evaluates next month’s World League in Tehran is likely to shape debate on how international sports should handle countries guilty of violations of women’s and human rights. At stake in the debate is whether international sports associations should refuse hosting rights to nations who restrict women’s rights or use the awarding of tournaments as a means of fostering domestic pressure for the lifting of restrictions. The debate focuses on Iran, which unlike Saudi Arabia, the only other country that bans women from attending male sporting events and men from watching women’s competitions, is eager to host international tournaments. FIVB, in contrast to world soccer body FIFA which refuses to award hosting rights to Iran, has argued that a refusal would penalize players and male rather than female fans in the Islamic republic. FIVB has moreover suggested that forcing women’s entry into Iranian stadiums was likely to provoke violence against women wanting to exercise their right. The fact that awarding rights would provoke violence would seem to favour a refusal to award hosting rights to Iran rather than accept a reality that is imposed in part by threats of violence. Iranian backtracking on earlier promises to lift the ban on women for international volleyball tournaments like the World League in Tehran and an earlier Asian Football Confederation (AFC) tournament in Iran further calls into question whether engagement instead of boycott is the more effective approach. The glass is half full and half empty in the debate. The dilemma is built into the charters of international sports associations like FIVB that champion anti-discrimination but restrain them becoming embroiled in political and religious issues. Both sides in the volleyball debate sum up aspects of Iran’s reality and the volleyball federation’s experience in the country to argue their positions. Proponents of engagement note that Iran has proven in the battle over its nuclear program that it is willing and able to sustain sanctions and unlikely to bend easily when penalized. Iran, they argue, drove a hard bargain when it finally agreed to serious negotiations. For their part, opponents of engagement charge that Iran has repeatedly backtracked on promised concessions. 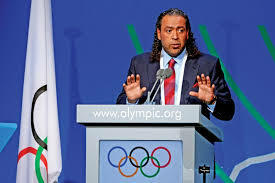 At stake, the opponents say, is given the failure of the engagement approach the need for international sports associations to uphold principles and their commitment to values of equality and universal human rights. Refusal to demonstrate that commitment, they say, would reduce their adherence to those principles to lip service and turn it into a farce. It would also hand a victory to those who threaten violence, a striking move in a world that vows not to be intimidated by indiscriminate political violence by the likes of groups like the Islamic State. FIVB, which has been pushing for Iranian concessions not only during the World League but also more permanently in Azadi Stadium, Iran’s flagship sporting facility in Tehran, says it will evaluate the effectiveness of its engagement in the wake of next month’s tournament. The FIVB first backed away from its earlier threat to boycott Iran when it last year went ahead with its Beach Volleyball tournament on Kish Island, a Muslim-tinted Las Vegas style resort developed before the 1979 Islamic revolution, despite Iran’s backtracking on its consent to women’s attendance of matches. Iranian officials justified their reversal by pointing to threats by religious groups that blood would be spilt if women were allowed to attend. The FIVB secured a women’s section in the stadium despite the threats and women believed to be relatives of Iranian volleyball federation executives rather than from the public attended a couple of matches. Women fans who travelled to Kish to watch matches were barred entry. The situation in Tehran next month is likely to be no different as supporters of President Hassan Rouhani, widely viewed as an advocate of reduced social controls, and Iranian hardliners battle over Iran’s future in the wake of the lifting of the nuclear-related international sanctions. The fact that the battle over women’s unfettered right to attend sporting rights is part of a larger struggle in Iran significantly reduces the FIVB’s chances of influencing Iran. Hard line threats of violence designed as much to intimidate their opponents as to attempt to keep Iranian moderates in line are not restricted to sports. Major General Qasem Soleimani, the head of Iran’s Islamic Revolutionary Guard Corps (IRGC) Quds Force, in an unprecedented response to this week’s likely deportation by Bahrain of Shiite Sheikh Isa Qassim, warned that the Gulf state had crossed a red line. Bahrain stripped Sheikh Isa at the beginning of this week of his Bahraini nationality. The move against Sheikh Isa was part of a renewed crackdown on Bahrain’s majority Shiites by the Gulf island’s minority Sunni rulers. General Soleimani said the it would spark “the beginning of a bloody uprising” that would lead to the “annihilation” of the country’s “bloodthirsty regime.”. The warning by General Soleimani, who commands IGRC forces in Syria that support the regime of President Bashar al-Assad and who played a key role in shaping Shiite militias confronting the Islamic State in Iraq, was directed as much at Bahrain as it was at those in Mr. Rouhani’s government who want to reduce tensions between Iran and Saudi Arabia. Ironically, Bahrain’s move against Sheikh Isa serves the purpose of Saudi Arabia which has been seeking to strengthen Iranian hardliners as part of its struggle with Iran over regional dominance in the Middle East. Like when it executed a prominent Saudi Shiite cleric in January, Saudi Arabia hopes that strengthened Iranian hard liners will obstruct Mr. Rouhani’s US-backed efforts to return Iran to the international fold. The Iranian power struggle and its role in the covert war between Iran and Saudi Arabia constitutes a high stakes battle that is far beyond the paygrade of internationals sports associations like the FIVB. With Mr. Rouhani and Iranian moderates having bigger fish to fry, it precludes the FIVB from getting any real foot on the ground in its effort to secure women’s rights. Under the circumstances, the FIVB and international sports associations are best served by upholding principles and standing on the side lines until the dust settles and new opportunities arise. Egypt may be inching towards a return to the stands of soccer fans, who played a key role in the 2011 toppling of President Hosni Mubarak and have been barred entry into stadiums for much of the last five years. Clubs, players and fans see a June 28 CAF Champions League match between storied Cairo club Al Ahli SC and Ivory Coast’s ASEC Mimosas Abidjan as a dry run for a gradual lifting of the ban that has repeatedly sparked at times deadly clashes between militant, street battle-hardened fans and security forces. International matches have been largely exempted from the ban to shield the government from potential accusations of responsibility for the poor performance of an Egyptian squad because it lacked the support in the stadium of its supporters. Next week’s Al Ahli match is however likely to be a litmus test because it will be attended by 15,000 fans, the highest number since the ban was imposed on the eve of the 2011 popular revolt. The government has moreover harked back to an initial understanding first reached in 2013 but never implemented in which the interior ministry, clubs and militant fans agreed that security forces would be replaced in stadiums by private security firms. "A private security company will be in charge of the stands. This match will be another step forward towards the full return of spectators to Egyptian stadiums," said Al Ahli executive Sherin Shams. The ministry’s consent to the use of private security companies, many of which are managed by former senior military officials, constituted implicit recognition that the country’s brutal, unreformed security forces are as much part of Egypt’s security problems as they are part of its solution. The consent also appears likely to be an effort by the ministry and the security forces to shore up their tarnished images. In internal memos leaked to journalists earlier this year, interior ministry officials called for the boosting of the ministry's media image and monitoring capabilities, including the hosting by popular television shows of former police generals and stepped-up monitoring of news websites on a 24-hour basis. Egypt’s security forces have long been one of the country’s most despised institutions. Almost weekly clashes with security forces during soccer seasons in the years before Mr. Mubarak’s downfall turned militant fans, who played a key role in the revolt as well as most anti-government protests since, into one of Egypt’s foremost social movements. More than 70 Al Ahli fans were killed in 2012 in a stadium in the Suez Canal city of Port Said in a politically loaded brawl that was widely seen as an attempt by the security forces and the military to cut the fans down to size that got out of hand. Last year, 20 supporters of Al Ahli rival Al Zamalek SC died in clashes with security forces outside a Cairo stadium. Fans in April forced their way into a stadium in protest against the ban on supporters attending football matches. At the Borg Al Arab stadium in the Mediterranean city of Alexandria, Ultras Ahlawy stormed the pitch during an African Championship match against the backdrop of growing criticism of general-turned-president Abdel Fattah Al-Sisi and protests against his handing over to Saudi Arabia of two islands in the Red Sea during a visit to Cairo in May by Saudi King Salman. The protesters, although far smaller in number than those that toppled Mubarak, adapted the slogans of the 2011 popular revolt: calls of “Bread, freedom – the islands are Egyptian!” replaced the 2011 revolt’s “Bread, freedom and justice.” An Egyptian court this month ruled against the return of the islands. Continued clashes with fans who repeatedly have over the years targeted the interior ministry have persuaded Mr. Al-Sisi to move government offices out of the centre of Cairo. Mr. Al-Sisi recently inaugurated a new office of the Interior Ministry at the Police Academy in New Cairo, east of the Egyptian capital. The academy joined the prosecutor-general, state security, and judicial bodies in an effort to deprive protesters of symbols at a time of mounting discontent. “The security situation is connected to the targeting of these institutions by a number of protesters centred in downtown Cairo. They seek to spread chaos throughout the country, especially after the demonstrations became unfortunately chaotic themselves. And they’re attempting to break the aura of authority around state institutions by putting them under siege, covering their walls with graffiti of vulgar images and language degrading to those who work there… The security challenges the country is going through have forced the ministry to accelerate its construction plans,” General Ahmad al-Badry, the former head of the Police Academy, told Al Monitor during the inauguration. 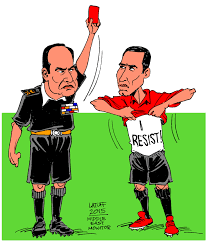 General Badry’s acknowledgement of the street power of the fans followed an unprecedented bid in February by Mr. Al-Sisi, who heads one of the most repressive governments in recent Egyptian history, to reach out to his opponents. In his government’s initial recognition of the power of the fans, Mr. Al-Sisi phoned in to a television programme on the fourth anniversary of the Port Said incident to invite militant fans to appoint ten of their members to independently investigate the incident. It was the first time Mr. Al-Sisi reached out to his opponents, many of whom have been killed by the interior ministry’s security forces, forced underground or into exile, or are lingering in prisons where they risk abuse and torture. Ultras Ahlawy declined the invitation saying it could not be accuser and judge at the same time but kept the door to a dialogue open. ماتيكياً مع صدور تقارير تفيد بأنّ هذه الدولة الخليجية تخطط لحلّ منظماتها الرياضية الوطنية، ما يعكس بوضوح العلاقة الشائكة بين الرياضة والسياسة. الصراع السياسي داخل الأسرة الحاكمة في الكويت يوشك أن يتخذ منحى دراماتيكياً مع صدور تقارير تفيد بأنّ هذه الدولة الخليجية تخطط لحلّ منظماتها الرياضية الوطنية، ما يعكس بوضوح العلاقة الشائكة بين الرياضة والسياسة. وتُشكّل هذه الخطوة الكويتية المتوقّعة جزءاً من الجهود الرامية إلى تهميش الشيخ أحمد الفهد، أحد أفراد الأسرة الحاكمة في الكويت، وواحد من أكثر الرجال نفوذاً في عالم الرياضة، وشقيقه الشيخ طلال الفهد، رئيس اللجنة الأولمبية الوطنية في الكويت، ويُعتبر هذا التطور أحدث فصل من صراع السلطة القديم الذي وصل إلى المحاكم الكويتية والرياضة الدولية. وبصفته عضواً في اللجنة الأولمبية الدولية وفي الاتحاد الدولي لكرة القدم (فيفا)، الذي يحكم عالم كرة القدم، عمد الشيخ أحمد وخصومه، الذين ينتمون إلى الأسرة الحاكمة ويسيطرون على مقاليد السلطة في الكويت، إلى التلاعب بالاتحادات الرياضية الدولية، وتوريطها في الصراع الذي تحوّل إلى معركة سياسية غير مرتبطة بالرياضة. وتعكس هذه الخطة، التي كشفت عنها وسائل إعلامية كويتية، ردّ الحكومة على خطوة محكمة التحكيم الرياضي في لوزان، حين دعمت قرار "الفيفا" بتعليق عضوية الاتحاد الكويتي لكرة القدم في السنة الماضية نتيجة إقرار قانون رياضي كويتي جديد يهدف إلى ترسيخ التدخّل السياسي في هذا المجال. وحذا "الفيفا" و15 اتحاداً رياضياً دولياً آخر حذو اللجنة الأولمبية الدولية بتعليق عضوية الكويت، على اعتبار أنّ القانون يمسّ استقلالية الرياضة. وخلال خمس سنوات، كانت تلك المرة الثانية التي تقرر فيها اللجنة الأولمبية الدولية تعليق عضوية الكويت، ومنعها من المشاركة في الألعاب الأولمبية، وهو القرار الذي يمنع الكويت من المشاركة في البطولة الصيفية المرتقبة بريو دي جانيرو. وفي القضية التي رفعتها أندية كرة القدم الكويتية، منها بطل الدوري الكويتي، نادي الكويت، والنادي العربي، ونادي الفحيحيل، وكاظمة، والسالمية قررت محكمة التحكيم الرياضي دعم "الفيفا"، وفي المقابل أملت الحكومة أن تتمكن من رفع الحظر عبر إنشاء اتحادات رياضية جديدة تزامناً مع إلغاء القانون المثير للجدل، وستكون تلك الاتحادات كفيلة بإبقاء الشيخَين أحمد وطلال ومناصريهما خارج عالم الرياضة الكويتية. وكانت الهيئة العامة للرياضة في الكويت، برئاسة الشيخ أحمد المنصور، وهو قريب للشيخَين أحمد وطلال، قد رفعت دعوى ضد الأخوين وأعضاء آخرين في اللجنة الأولمبية الوطنية للحصول على 1.3 مليار دولار كتعويض عن الخسائر. وأكّدت الهيئة أنّ تلك الخسائر ارتبطت بالشكوى التي رفعها الشيخ أحمد أمام اللجنة الأولمبية الدولية بشأن التدخل الحكومي. أما وزير الإعلام وزير الشباب الشيخ سلمان الحمود فاعتبر أنّ الشيخ أحمد، دون أن يذكر اسمه، كان مسؤولاً عن "التراجع الكامل" للرياضة الكويتية، مدعياً أن ذلك التراجع نجم عن "الشكاوى الكاذبة التي رُفعت أمام المنظمات الدولية في محاولةٍ لتعليق النشاطات الرياضية المحلية". ويلوم الشيخ سلمان، من جهته، الشيخ أحمد الفهد على فشله في الفوز بانتخابات رئاسة الاتحاد الدولي للرماية في عام 2014، وحينها اتُّهم الحمود باستغلال منصبه في الحكومة لجمع الأصوات. ومنذ ذلك الحين، أعلن الاتحاد الدولي للرماية أنه يتحقّق من تجاوزات الشيخ سلمان الأخلاقية، فاعتبر أن الإجراء القانوني الذي اتخذته الحكومة ضد الشيخ أحمد قد يُشكّل "تصعيداً" للصراع السياسي الرامي إلى السيطرة على الرياضة في الكويت. وقال الاتحاد، في تصريح له، إنه "خلال حملة الشيخ سلمان التي أطلقها لتولي رئاسة الاتحاد الدولي للرماية في عام 2014، تأكد الاتحاد أنه لا يهتم فعلياً بالعملية الديمقراطية وباستقلالية الرياضة والسلوكيات الأخلاقية خلال أي استحقاق انتخابي". وفي العام الماضي، اضطر الشيخ أحمد، وزير النفط السابق رئيس مجلس الأمن الوطني الكويتي السابق رئيس المجلس الأولمبي الآسيوي واتحاد اللجان الأولمبية الوطنية، للاعتذار علناً من سمو أمير الكويت الشيخ صباح الأحمد، عمّه، ومن مسؤولين بارزين آخرين، على خلفية نشر ادعاءات كاذبة ضدهم. وظنّ كثيرون أن تلك الادعاءات كانت جزءاً من الجهود التي يبذلها الشيخ أحمد لتحسين مكانته في الرياضة الدولية والتخطيط لعودته إلى منصب حكومي بارز. وكان الشيخ أحمد يأمل أن يقوّي مكانته عبر اتهام قريبه، رئيس الحكومة السابق سمو الشيخ ناصر المحمد، ورئيس مجلس الأمة السابق جاسم الخرافي، بالتخطيط للإطاحة بالحكم، وتبييض الأموال وإساءة استعمال الأموال العامة. وبعدما اعتبرت محكمة كويتية أن أدلة الاتهام التي قدّمها على شكل وثائق رقمية وتسجيلات فيديو كانت مجرّد افتراءات، اضطر الشيخ أحمد لسحب ادعاءاته والاعتذار علناً على التلفزيون، وكانت تلك الإطلالة التلفزيونية تهدف إلى إهانة الفهد، وكبح طموحاته في بلدٍ يولي اهتماماً كبيراً للمراكز. وقال الفهد في اعتذاره: "وإذ ألتمس من سموكم الكريم العفو والصفح نؤكد أن ذلك سيكون درساً لي أستفيد منه وأستلهم منه العبرة والموعظة ممتثلاً لأوامر وتوجيهات سموكم، رعاكم الله، ومتعهداً بِطيّ صفحة هذا الموضوع وعدم إثارته مرة أخرى"، ولكن الشيخ أحمد أصر على أنه وقع ضحية "هجوم شخصي" يؤكد توتر العلاقات بين الحكومة وعالم الرياضة. ويمكن اعتبار مشاكل الشيخ أحمد والكويت نتيجة حتمية لتسييس الرياضة والتلاعب السياسي بها في الكويت كما في أماكن أخرى من الشرق الأوسط وشمال إفريقيا. *الدكتور جيمس م. دورسي مسؤول مرموق في "كلية س. راجاراتنام للدراسات الدولية"، وأحد المديرين في معهد ثقافة المعجبين بجامعة "فورتسبورغ"، وصاحب مدوّنة "عالم كرة القدم المضطرب في الشرق الأوسط"، وقد نشر للتو كتاباً بالعنوان نفسه. The opening of a court case against Turkish soccer star Hakan Sukur on charges of insulting the president takes Recep Tayyip Erdogan’s autocratic ambitions back to their origins: an Islamist power struggle with exiled preacher Fethullalh Gulen that erupted five years ago on the pitch. A soccer player-turned-politician who in 2011 was elected to parliament as a representative of Mr. Erdogan’s Justice and Development Party (AKP), Mr. Sukur stands accused of asserting in February 2015 that the president was guilty of theft. Mr. Sukur, who sided with Mr. Gulen in his dispute with Mr. Erdogan, was referring to charges in 2013 of corruption against Cabinet ministers, the director of a state bank and members of the president’s family by pro-Gulen prosecutors that were at least partly related to Iran sanctions busting. The charges rocked Turkey at the time. Mr. Sukur may well be sentenced as many others have in a Turkey that is being subjected to Mr. Erdogan’s will through the curtailing of individual freedoms and the politics of fear – a private university fired a communications professor this week for mocking the president in class – but can seek comfort in the fact that legal proceedings in the United States could reopen the corruption charges. Mr. Erdogan responded to the corruption charges by accusing Mr. Gulen, who heads one of the world’s largest and wealthiest Islamist movements, of attempting to stage a coup and build a parallel state in Turkey. The president effectively squashed the investigation of the corruption charges by dismissing or transferring thousands of members of the judiciary and police, both institutions that were viewed as bulwarks of support for the preacher. Some alleged pro-Gulen members of the judiciary and police were accused of conspiracy and terrorism. The corruption charges constituted a sequence in the power struggle that first erupted in 2011 with a massive match fixing scandal, the worst in Turkish soccer history, in which the two Islamist leaders battled for control of storied Istanbul club, Fenerbahce SK, the political crown jewel in Turkish soccer. At the centre of the scandal was Fenerbahce president Aziz Yildirim, one of 93 soccer officials and players accused of match fixing. Political control of Fenerbahce potentially paves the way for support of millions of the club’s fans. Mr. Erdogan, who at the time was still prime minister. ensured legislation that shielded the club from relegation and reduced penalties for match fixing. Mr. Yildirim was initially sentenced to six years in prison but acquitted last year in a retrial. Turkish authorities detained 38 people, including former police chiefs, lawyers and journalists, in April in a series of police raids on suspicion of framing Mr. Yildirim as well as other Fenerbahce players and directors as part of a continued crackdown on alleged followers of Mr. Gulen. Police issued at the time warrants for the arrest of 64 people suspected of involvement in the alleged plot against Fenerbahce. State-run Anadolu News Agency reported that the suspects could be charged with forming and belonging to a terror organization and conducting illegal wiretaps. While Mr. Erdogan may have believed that he had put the corruption scandal to bed, he risks the case being reopened with the arrest in Miami earlier this year of Turkish businessman and gold trader Reza Zarrab on charges of having helped Iran circumvent US and international sanctions against Iran. 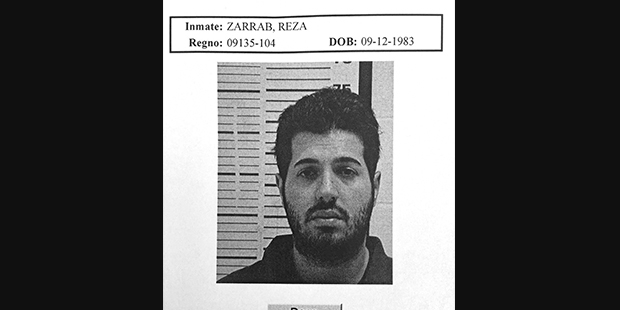 The US investigation has laid bare details of Mr. Zarrab’s links to senior Turkish officials, including some of those that originally had figured in the 2013 corruption scandal. US prosecutors allege that Mr. Zarrab paid tens of millions of dollars in bribes to the three ministers and the director of Halkbank, the state bank, that had been named in the scandal. The prosecutors further assert that Mr. Zarrab made a $5.5 million donation to a charity established by Mr. Erdogan’s wife. Turkish prosecutors dropped similar charges against Mr. Zarrab as part of the squashing of Turkish proceedings. Mr. Zarrab was subsequently honoured with an award for being one of Turkey’s top exporters. US prosecutors said their evidence supported the original Turkish charges against Mr. Zarrab. The threat to Mr. Erdogan is that Mr. Zarrab may want to cooperate with US prosecutors in an effort to reduce the chance of him spending up to 75 years in prison if he were to be convicted in a US court. That in turn could lead to legal proceeding against associates of Mr. Erdogan in US courts as well as sanctions against Turkish banks complicit in Iranian sanction busting. Halkbank shares on the Istanbul stock exchange have already taken a hit in anticipation of a possible plea bargain by Mr. Zarrab. Mr. Sukur, following in the footsteps of Mr. Gulen, has moved to the United States. Concerned that he may not get a fair hearing by a judiciary that has been politicized and legislation that is designed to grant Mr. Erdogan immunity from criticism, Mr. Sukur has said he would be willing to testify via videoconference. Mr. Sukur, Turkey’s most prolific striker and the player who scored the world’s fastest goal, could be sentenced to up to four years in prison. Mr. Erdogan initially dismissed Mr. Zarrab’s arrest as being irrelevant to Turkish interests. That could prove to be a premature assessment. The potential fallout of Mr. Zarrab’s case would cast the defamation charges against Mr. Sukur in a very different light. Combined the two cases could create a situation in which Mr. Erdogan’s squashing of attempts at transparency and accountability backfire and come to haunt his grip on power. Iran seems committed to push forward with plans to pump additional barrels of oil into an already oversupplied market. The country’s crude output has crossed over 3.8 million barrels a day during the current month, which marks about 40 percent increase since the western sanctions were lifted. Iran’s Petroleum Minister Bijan Zangeneh announced about this during the public meeting of the Iranian Parliament on June 13, Shana news agency reported. Zangeneh noted that Iran has doubled oil exports, which reached 2 million barrels per day now. The Minister stressed the need for foreign investment to develop the country’s oil and gas industry as well. Iran plans to push its oil exports up to 2.2 million barrels a day by the end of this summer. In late May, the oil production in Iran amounted to 3.562 million barrels per day, which was 90,000 barrels more compared to the volume extracted in April, according to OPEC’s June report released this week. Obviously, greater supply will pressure global oil pricing. However, the issue for Iran is market share. The country is determined to regain the market share lost as a result of the sanctions, James M. Dorsey, Senior fellow at Nanyang Technological University's S. Rajaratnam School of International Studies told AzerNews via email while commenting on Iran’s increasing oil exports to the global market. Geopolitical tensions between Iran and Saudi Arabia led to failure of OPEC’s Doha and Vienna meetings previously. The organization could not realize its oil freezing plan or put production ceiling to control volumes of oil that the member states pump. Saudis refused to take any measure without the commitment by the Iranian side. Dorsey believes the more Iran reintegrates in the international community, as well as, the economy and financial systems, the easier investment will become. Although most of the western sanctions against Iran were removed, some of the U.S sanctions still remain in place. It bans conducting business transactions in U.S. dollar with Iran, which obstructs flow of the investment to the country. Dorsey believes that nothing much is likely to happen on this front until after the U.S. elections, and then it will depend on who has won the election. Currently, Iran’s oil industry attracts attention of the foreign investors more than its gas sector do. Nevertheless, the Islamic Republic is very keen to boost its gas exports too. Dorsey said that increase in the gas export volumes of Iran is only a matter of time. Iran is currently building a pipeline to Oman, where it will use the LNG plants to exports its natural gas supplies. Touching upon Iran’s preference to construct Iran-Oman pipeline over other options, Dorsey underlined that Iran has very close relations with Oman that has been very helpful to Iran as a mediator with the United States and in terms of maintaining economic and political relations. 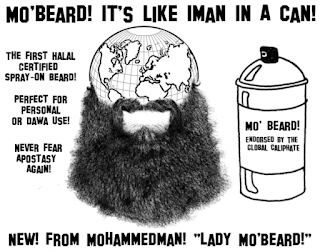 The Muslim world’s battle over the legitimacy of political Islam has expanded to the soccer pitch as proponents and opponents of interpreting the faith politically seek to impose their public morals with men’s hairstyles and facial hair taking centre stage. 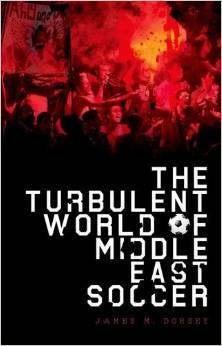 At the core of the battle are fans and players, a reflection of society as a whole, who seek to exercise their right to choose their preferred styles often in opposition to efforts by autocrats to impose their will depending on their attitude towards public morals and political Islam. The crackdown on hairstyles is part of a larger battle to control public morals by autocrats who either seek to ban religious expression from public life or impose pious behaviour. Soccer fans sporting beards in the Central Asian nation of Uzbekistan, a country that see beards as potential expressions of empathy with political or militant Islam, were recently barred entry into a stadium. The move was widely seen as signalling another crackdown on anything the government associates with political strands of Islam. Uzbekistan’s long-standing president, Islam Karimov, a Soviet era Communist Party official, who has ruled Uzbekistan with an iron fist since its independence in 1991, views political Islam as a serious threat to his regime. Plainclothes policemen forced bearded fans standing in line to enter a stadium for a friendly match in late May between FK Bukhara and FK Navbahor Namangang to leave the cue and return once they had shaved off their beards. "There were thousands of people lining up to enter the stadium when a man in civilian clothes approached me and said 'Go and remove your beard and then you can enter,'" one fan told Radio Free Europe/Radio Liberty’s (RFE/RL) Uzbek language service. The fan said he dropped his rejection of the demand when the policeman was joined by four other men. "I had no choice but to run to a nearby barber shop," he said. RFE/RL reported bearded university students were also being barred from entering classrooms and that bearded men had been detained on streets and in bazaars and taken to police stations for questioning. Women wearing the hijab were being stopped for questioning in the capital Tashkent as well as the Fergana Valley in the east of the country, a hotbed of ethnic tensions and Islamist activism. A FK Bukhara fan leader told RFE/RL that fans under 40 years of age were informally barred from wearing beards. "Young men with beards aren't allowed to stadiums," the fan club leader said. Rather than denouncing the ban, some fans complained that the ban had not been communicated. "They could have put a sign at the ticket office (saying) that bearded men aren't allowed into stadiums," one fan said. 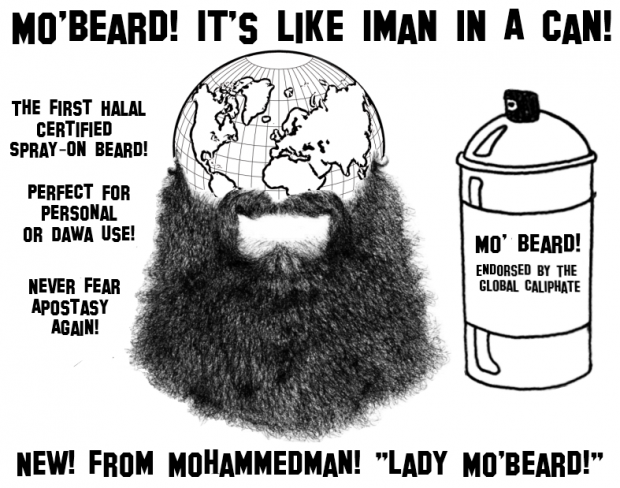 If Uzbekistan seeks to control men’s facial hair in the government’s effort to crackdown on political Islam, Saudi Arabia, which sees its autocratic monarchical rule as the only legitimate form of Islamic government, has sought to stop young men from adopting hairdos involving shaved parts of one’s hair in a style popular among youths across the globe. Al Shabab FC goalkeeper Waleed Abdullah became two years ago the first Saudi soccer player to be publicly humiliated when a referee delayed kick-off of a Saudi premier league match to cut the Al his hair because his hairdo was deemed un-Islamic and by implication subversive – a threat that needed to be dealt with immediately and demonstratively. The Saudi Arabian Football Association said at the time that Mr. Abdullah’s hair-do violated a saying of the Prophet Mohammed that bans Al-Qaza, the shaving of one part of one’s hair while leaving others unshaven. The public humiliation of Mr. Abdullah not only evoked the disgracing of players who failed to live up to autocratic expectations in Saddam Hussein’s Iraq and Moammar Qaddafi’s Libya but also resembled enforcement of strict dress codes by the Islamic State, the jihadist group from which Saudi Arabia seeks to differentiate itself. Al Shabab was only allowed to play its match after fans, players and officials watched the referee use scissors to remove a small Mohawk at the front of Mr. Abdullah’s head. The incident, which occurred prior to the ascendancy to the throne last year of King Salman and the extraordinary empowerment of his son, deputy crown prince Mohammed Bin Salman, raises questions of how Saudi rulers will balance adherence to precepts of public morals advocated by the country’s powerful, ultra-conservative Wahhabi scholars with their effort to restructure the kingdom’s economy and cater to aspirations of its youth. Prince Mohammed’s restructuring of the economy and sensitivity to youth aspiration involves a rewriting of the kingdom’s social contract that with the slashing of subsidies, raising of prices of utilities such as water and electricity, introduction of indirect taxes, and planned streamlining of a bloated bureaucracy. That in turn involves a rewriting of the social contract that promised cradle-to-grave welfare in exchange for surrender of political and social rights. It wasn’t immediately clear how Prince Mohammed would square his efforts to cater to youth desires by developing a culture and entertainment industry in a country that has banned cinemas until now with a continued ban on men freely choosing how they wish to groom themselves. The new industry is part of Prince Mohammed’s Vision 2030 economic and social plans for the kingdom that were announced in April. It also remained unclear to what degree the Salmans are willing to take on the Wahhabi scholars with whom they share power in an arrangement that goes back to the founding of the latest Saudi state in the early 20th century. The government recently curbed the power of the religious police but has so far been unwilling to challenge the Wahhabis on the lifting of a ban on women’s driving. A South Asian leader of a political Islamic group cautioned that Saudi moves were wholly designed to ensure the survival of the ruling family. “In Islam, any head of state should have the trust of the common people. They don’t enjoy the confidence of the common people. They appoint their next emperor. This is not in accordance with Islam,” the Islamist leader said, pinpointing the risks involved in the inevitable restructuring of relations with the Wahhabis as the Al Sauds seek to take their autocracy into the 21st century.